Unity is defined as the state of being united or joined as a whole. God has called his children to live together in unity. Why? Simply stated, we need one another. When Jesus told His disciples that they would do greater works then he did, he envisioned them doing it together. Let’s reflect: Jesus called twelve disciples, not one. He anointed seventy disciples and sent them out two-by-two. Each person in the Body of Christ is unique and has a different skill set and gift. When we come together in unity we become more powerful and better equipped to meet the needs of our communities and make a greater impact for Christ. 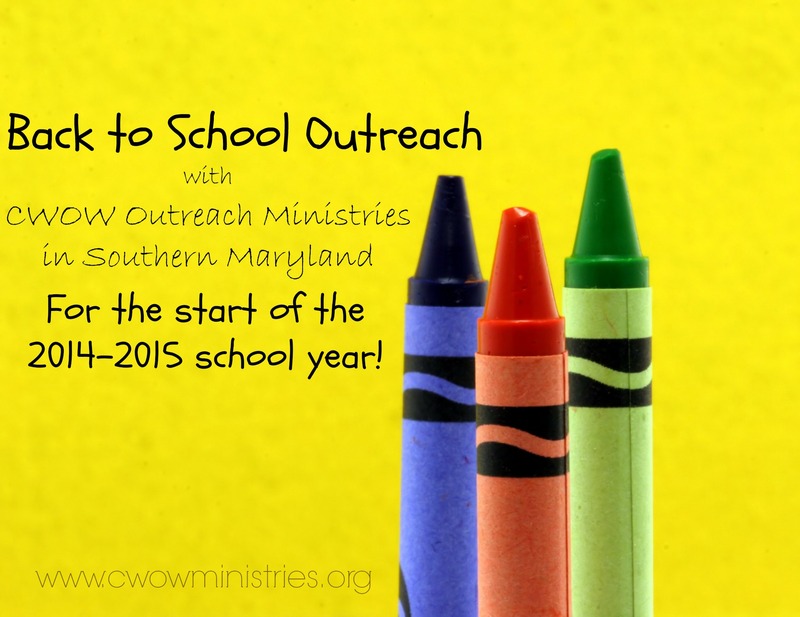 In September, CWOW Outreach Ministries united with two groups to reach our community in powerful ways, through prayer and teaching. On Friday, September 24, we hosted an evening of corporate prayer at our church. The Southern Maryland House of Prayer led the session. For over two hours we fellowshipped, praised and prayed to the God of Heaven that His will would be done in Southern Maryland. We prayed intently for the schools and local churches. We were joined by a local pastor and congregates from other local churches. On Sunday, September 26, we and local congregants came together, at CWOW, to learn about the gift of prophecy, its purpose and use. A Prophet based in a Southern Maryland church led the session. The Prophet taught this class at a beginner’s level to ensure we all had a biblical understanding of prophecy. This class was intended to prepare the church to operate in the prophetic so we may strengthen, encourage, and comfort one another. At CWOW we believe it is imperative to meet the spiritual and physical needs of our community members. Hosting and participating in these events has strengthened our community and increased the unity of the local churches. We could not have done this alone. In order for the Body of Christ to be successful we must live, work, pray, and walk in unity. More information: Southern Maryland House of Prayer. I just wanted to say thank you to your church and its members for the things that you are doing to help the community. My daughter and I would like to thank your church for the gift card we received at Walmart on 16 Aug 2014. May God continue to bless your ministry. Thank you again. What greater way to remove a child’s hindrances then to give them a fresh start and equip them with tools for success. We went to Walmart to bless back to school shoppers with $25 gift cards. It was exciting to see joy, excitement and relief on the faces of the recipients. Twelve families experienced the Love of God through one simple jester. We believe that it is important to lend a helping hand. We provided gift cards to parents and educators who were in the process of buying school supplies. A new school year offers a new beginning to every student. The grades, challenges, and struggles of last year are washed over and a new foundation is laid with the promise and potential for great success. Many students face a new year without the basic tools of success such as pencils, pens, notebooks and paper. When these basic needs are met the focus can be on education, learning and the tasks at hand. As this school year begins, we pray that each student, parent, and educator have a prosperous school year with good success. May God bless them richly and be gracious unto them.